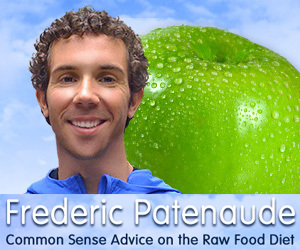 You are here: Home › Blog › Raw Food Daze › My New Year’s Eve will cost me a bundle. My New Year’s Eve will cost me a bundle. Tomorrow is the day I spend getting a new timing belt, water pump, and drive belt. Plus an oil change. I don’t have enough extra in my checking account to pay for it so it will go on plastic. That hurts. It would hurt worse, though, if my timing belt broke and I had to either get my car repaired or replace it. Talk about ouch! My son was getting ready for work when I got up to go to the bathroom this morning. I’d thought I’d go back to bed but it was going on 6:30. I took my thyroid meds and visited with my DS while he packed his lunch and made all his other preparations for the day. It never occurred to me to do any of the exercises I could while I’m away from home. I was just about dead lazy. For the first time in 26 days, I haven’t eaten any kelp noodles. How will my body react? Will I go into withdrawal? We’ll just have to hide and watch and see what happens. It’s 9:30 now and I’m through eating for the day. DS asked me if I knew of anyone eating raw getting food poisoning. No, not that I’m aware of. Well, if the food had been sitting around for awhile…But the food is, for the most part, fixed and eaten fresh. Oh. Guess he hadn’t thought of that. Not that he’s worried about eating leftovers with eggs, milk, and cheese. Just that combination landed me in the hospital once upon a time with a tube going through my nose to my stomach. My insurance paid all but more than $350. That was an expensive casserole. My sister called after I’d had my “smoothie” and said she was headed home today. I trust they got there okay or will soon. They had some returns to make (hooray! I don’t!) and were going to head out after that. It had been raining this morning but it slacked off before I started loading the car. My DIL had some errands to run so I told her to go ahead and I’d let myself out—unless she was going to hold me prisoner and make me wash dishes. It’s a private joke. After she left, I took a bath because I could. Once, before I quit eating cooked, I took a bath in that tub and I thought I was going to have to stay there until someone got home to rescue me. I couldn’t get out. There was no way for me to get enough leverage to heave myself up. After much maneuvering, I managed to turn over, get up on my knees, and from there I was able to get up and climb out of the tub. I think I may have related this before but it was a wake-up call that I was that obese. Today, I sprang up and out of the tub with as much nimbleness as when I was 16 (maybe not as pretty but as nimble). My cell phone will work about everywhere but here and at the hospital. I visited with my DD before I got to a place it wouldn’t get a signal. She’s getting excited about her new job. Well, maybe more nervous than excited. I called my friend to check in. She gets worried about me being out on the road alone. Guess she has taken over Mother’s job. She reminds me of my mother and people have asked if she is. It would be quite a trick if she were. I’m 12 years younger than she is. She was complaining that she never gets any fresh food there. I told her to ask for a consult with dietary and tell them what she wants. She’d like fresh fruit every day and salads more often plus granola for breakfast. I instructed her to make a list and be specific. She wanted to know what I was going to do today. I listed all the places I was planning to go. Her reaction was that I wouldn’t get home until midnight unless I knew what I wanted in each store. Well, I do. I shop the produce sections for the most part. When I said I’d stock up on grapefruit at Aldi, she went into rhapsodies about how she loves grapefruit and to bring her one. At 25¢ each, I’ll take her four. My gift certificate came in very handy at the university supermarket. I found the bulk frozen fruit section for the first time today and they had big bags of mango! I got three. That should do me until I get back. I looked at the peaches but, for a smaller bag, they were over $14. No thanks. I’ll eat mango. The organic market had frozen wild blueberries at a good price the last time I was there but they’d gone up $2 in the meantime. I let them keep them. I just counted up seven places I stopped for one thing or another after I got on my way. It was about 5 o’clock when I pulled into the driveway. Everything is put away, I’ve fixed romaine for tomorrow, and I’ve finished eating. The Asian Cucumber Salad was in the deli at the organic market. They have a huge deli section with mostly cooked food. The salad was obviously raw so I got about half a lub. I ate it when I got home and it wasn’t totally agreeable with my stomach. I figured the pickle might add some probiotics and the grapefruit juice cut through whatever it was that didn’t like me. If anyone is interested on how to make the salad, ask someone else. I’m not going to try to duplicate it. There’s more to do before I go to bed. I’ll have to be on my way in the early early to be able to get where I’m going by 8 am. The thing that will make it bearable is that I’ll be able to be on wireless while my car is getting worked over. I plan to get a LOT DONE! No watching the ball drop for me. One Response to My New Year’s Eve will cost me a bundle. Hello the message is delightful.